After stopping a runaway train, you must now escape from a town that is lost in time and space! Explore the mysterious city and solve its riddles to uncover the roots of a terrible disaster. Free yourself from the timeless trap as quickly as you can since the Chronometron is counting off the seconds of your life. 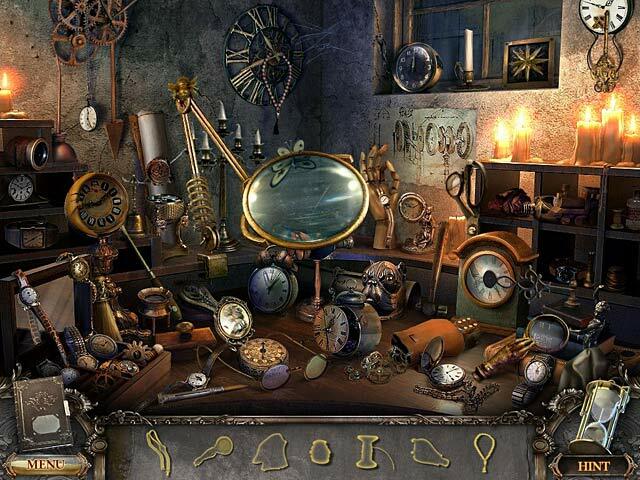 Dive into Timeless: The Forgotten Town and use your Hidden Object Puzzle Adventure skills to survive! 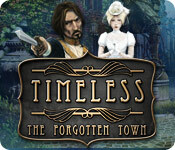 Timeless: The Forgotten Town is rated 4.0 out of 5 by 29. Rated 5 out of 5 by crisgori from I love the series Bright graphics (the passage from a scene to another is a bit slow), well done HOS, interesting puzzles, length and a good amount of backtracking. The only complaint is the sparkle for the HOS even in advanced mode. Rated 5 out of 5 by Kirland from Fascinating Mystery into the Past Right from the beginning, this game astounds with beautiful graphics and music. A fascinating mystery that transports you to another time. I was pulled in immediately..present day and riding a fast moving train..next you are hurtling down a track in a shaky steam train to the past. 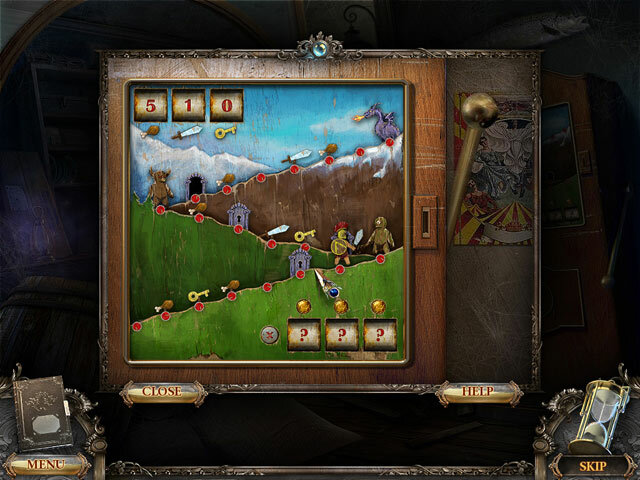 A variety of hidden object scenes. Very clear and nothing so small you need patience and a magnifier to find. Puzzles were well done with some very challenging. Getting the three clocks to show the correct times had me scratching my head. You better have the patience as the puzzles do not have a reset. The devs took some time and thought to designing this high quality game. If you haven't already tired this game, give it a shot. Rated 5 out of 5 by LavaReign from A smart, fun game At first glance the graphics seem a bit old-school, not the clear crispness or beautiful hand-painted quality that I love. But the game play itself was exceptional. This game took smart fun details to a level I haven't seen yet in a HO/adventure game. HO scenes weren't the best, but I loved rooting around in drawers for objects, which is what a person realistically would do. Return trips did not magically replace found objects. The cursor lights up when information is available, a nice touch. The game progression was linear, rarely will you root around for no reason, and as you find new items and solve puzzles the villain shows up to thwart your plans.... changing the scene and even the sounds in the background. I really enjoyed this game, I didn't feel the need to rush and finish because I was tired of it, it remained fun throughout. The puzzles were smart, you won't get handheld instruction but if you take some time you can figure them out with logic and reason. They weren't they type that were easy to solve even with a walkthrough, but still fun and satisfying when you do. The music was beautiful and constantly changing. And the hint system will give you sparkles directing you where you need to go, and then highlighting the next task. I highly recommend this game, it looks like the typical old-school HO-happy snooze fest, but contains a lot of hidden fun! Rated 5 out of 5 by irishldy60 from CHOOOO CHOOOO This comes from just playing the demo and I loved it..and I ran to the buy button...loved the graphics..but sadly my sound wasnt working for the game....loved the story line..and the HOSs were a great challenge..having a mixture of the different kinds was a great idea..visuals were crisp and clear..loved how they kept them all to the era..from the other reviews im hoping when I get my new tower that the music is as good as they say..the shortness of the game does not bother me at all as alot of times I play the game to just relax..I recommend this game. Rated 5 out of 5 by ffuryy50 from Great game! I really enjoyed this one.... a good challenge that won't cause you to tear your hair out but will make you think a good bit to puzzle through to the end. The artwork is absolutely fantastic... beautifully done. I did not find the end to be abrupt as another reviewer said -- it just left you looking for the sequel, which I will be.... I definitely recommend this one... enjoy! Rated 5 out of 5 by rosekaufmann from SO GLAD I BOUGHT IT This was an impressive and beautifully conceived game from Boolat. Length is about average (4-5 hours for casual gamers) and I can’t wait for the sequel. This is one of the better games I’ve recently played. Puzzles were unique, clever or had a twist. Difficulty ranged from average to challenging. There is no “reset” button to restart a puzzle and there is seldom a skip available. So prepare to be occasionally exasperated, in a good way. Music and voices: No voice overs. All dialogue was written. Boolat Games actually hired a composer to write and supervise the musical arrangement specifically for the game. The music was relaxing and fit the story nicely. HOS: A variety ranging from silhouettes, lists, find 10, and moving objects out of the way. There are no tiny objects to find (yeah!). There was a least one unusual HOS which faded from clear to dusky and blurry and back again. Spectacular graphics of several environments. Engaging, well-developed and thought-out story with very limited backtracking. The adventure started and ended with the main character on a modern train, which transformed into an old-fashioned steam engine with wooden cars. The story occurs between the 2 transformations. No loose ends - except the transformation back to the present modern train leaves an opening for a sequel, which I look forward to. Diary: includes a short wrap up of what you’ve discovered, but also includes a very interesting backstory and information which you would never know existed without reading the diary. Occasionally, the diary will give a very broad hint on what you need to do at some time in the near future. Rated 5 out of 5 by zorabelle from Good Fun I got this with a free game stub and am glad I did.I don't take others' reviews too seriously because they are usually based on the trial which anyone can play.I base all reviews on the games I purchase and I must say it was fun to play,had great graphics. 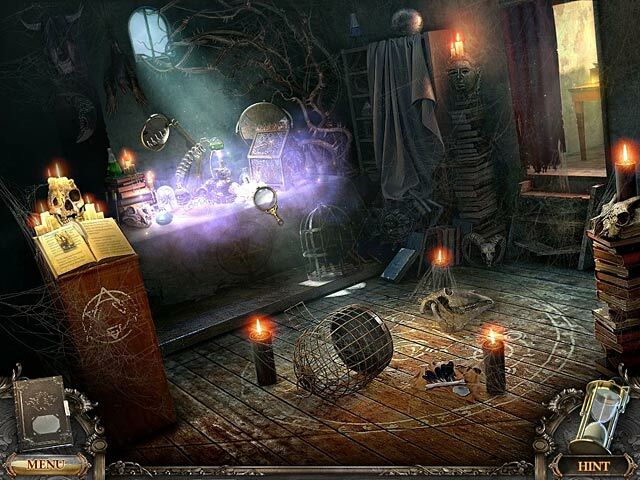 It had the standard hidden object scenes paired with the sillouhette scenes and had a good serene music score.It was pretty straight forward meaning you don't need a map or walkthrough.There was the usual running to and fro that we have grown accustomed to and no voice-overs.The story was a typical ghosts in need of a helping hand.It was not a very long game but if what you are looking for is a fairly easy but enjoyable game then I recommend this one to add to your inventory.